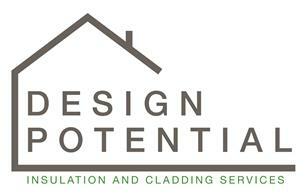 Design Potential Ltd - Insulation, Plasterer based in Weston-super-Mare, Somerset. Invoice history based on 11 reviews. Design Potential is based in Weston Super Mare & specialises in External wall insulation, loft insulation, and external cladding . We are a family run business offering our expertise throughout North Somerset, with a wide range of building & plastering services dating back to 1998, this experience coupled with our extensive range of insulation products we can offer cost and energy efficient solutions which meet your specific requirements. Design Potential is owned and ran by Eamon and Hannah. Eamon is a plasterer with over 20 years’ experience in the building trade and Hannah is an Occupational therapist who runs a successful private practice when not on site installing insulation. As well as Hannah and Eamon, Design Potential only employ experienced tradesmen to insulate your home. We offer Friendly Helpful Advice, Quality Workmanship and a Reliable Punctual Service.